By now you possibly have noticed that for a second year running, hugely popular pan-African show, Big Brother Africa (BBA), is not happening in 2016. According to a statement from Mnet, the show is still under evaluation and thus not part of the upcoming programming schedule. “At the moment, the team is busy re-evaluating the strategic direction of Big Brother Africa. Be assured that when it returns, it will be bigger and better,” reads the statement. When BBA first premiered on Sunday May 25, 2003, it shook African airwaves. For the very first time, reality TV about Africans for Africa, was broadcasting in more than 10 countries. Unlike now, where Africa has been abbreviated to South Africa and Nigeria, the reality show had participants from different countries where MultiChoice has a presence, including Kenya, Tanzania, Malawi, Angola, Uganda, South Africa, Zimbabwe, Ghana and Nigeria. The show introduced us to eventual winner Cherise Makubale (Zambia), Cameron Stout who visited from the Big Brother UK house, among others. The longest Big Brother Africa season, the first one lasted for 106 days, yet Ugandans enjoyed each day until it wrapped on September 7, even inspiring hit songs for people like Bebe Cool. The show’s shower hour had many glued to their TVs in the morning, and others lounged in bars as they waited for the ‘uncut’ sessions. The show then took a break, returning in 2007 for a second season with Maureen Namatovu representing Uganda. 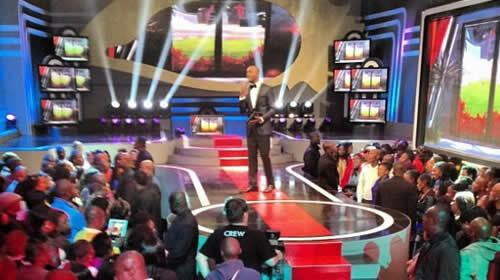 The days in the house had been clipped to 98; the show host had changed from Mark Pilgrim to Kabelo Ngakane, and it was too predictable. And that would write the script for subsequent seasons; with each edition, the show’s popularity dwindled. Not even the move to double the number of housemates or triple the cash prize saved the show. It did not help matters that the popular shower hour had been scrapped due to an outcry from the channel’s sizeable Nigerian subscribers that even then influenced what the rest of Africa watched. The last time BBA got Ugandans talking was in 2013; it was the eighth season and Uganda was represented by Urban TV and XFM presenter Charlie ‘Denzel’ Mwiyeretsi. His sense of fashion and weird dance moves aside, he was the third consecutive Vision Group employee representing Uganda after Ernest Wasike and Kyle Duncan Kushaba, raising questions on whether contestants were handpicked, and not a result of auditions. Many believe the show had lost its way before producers even thought of re-evaluating it and was simply riding on the success of its premiere season. “That season was a hit for many reasons; it was fresh and almost all contestants had no expectations,” Hannah Nakuya, who was in S4 when BBA I was on air, says, adding that there was a surprise factor for both the audience and contestants. “By the time the show came back in 2007, many of the new contestants had watched season one and thus wanted to replicate it,” she says. Maureen Nakate, a fan that has watched at least three of the seasons, notes that the reason the show is not coming back was because it lost itself. Look at Uganda’s contestants; after Gaetano who was a law student from Makerere, subsequent season had Namatovu, a budding designer and pageant contestant; Maurice Mugisha, a famous model; Ernest Wasike, a radio presenter and public relations executive; before Kyle and Denzel, both TV personalities; and the last one in 2014: a serving Miss Uganda, Stella Nantumbwe. But other schools of thought say the show is not coming back because of financial issues. It is said that with dwindling ratings, the show lost advertisers and it became hard to run an expensive show. In his view, people did not see the value of actually being in the house, thus the failure to get suitable candidates. Other contestants, however, have Big Brother to thank for transforming their lives. Gaetano was catapulted to continental TV fame thanks to BBA. Denzel and Sharon O say the show was a lifesaver because of the representation package given to each contestant. At the moment, two things are certain: a full rebrand and strategizing of the show; if not, then the station would have killed the goose that laid the golden eggs. For now, South Africa has had national seasons of its own Big Brother, as has Angola.